Great Britain is the ultimate adventure playground (yes, really*). These islands are jam-packed with glorious adventures waiting to be had. 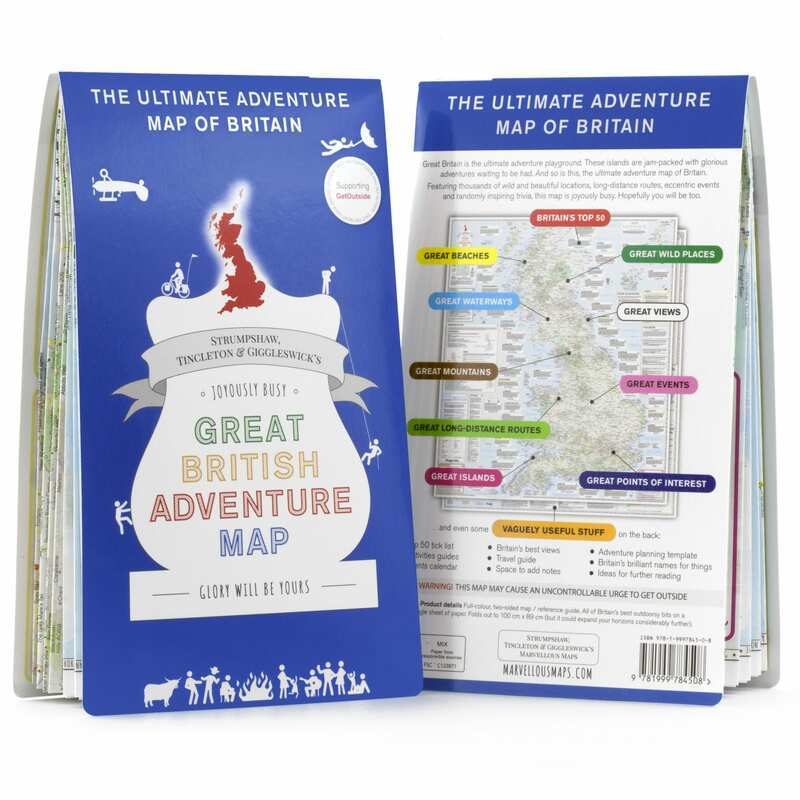 And so is this, the ultimate adventure map of Britain. It’s joyously busy. Hopefully, you will be too. 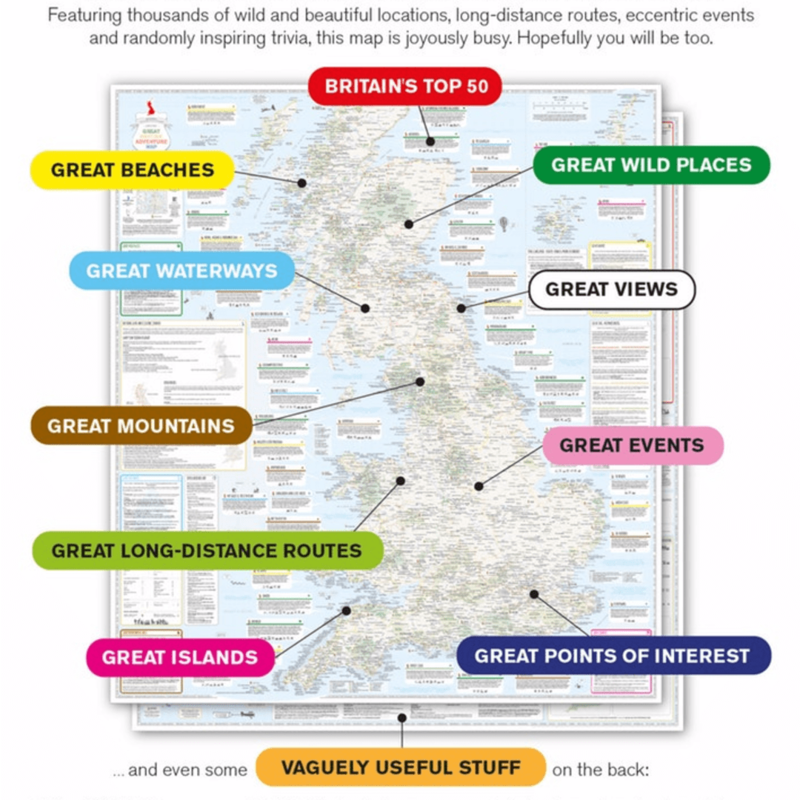 COMPREHENSIVE – Discover 2,500 of Britain’s best wild places, beaches, mountains, islands, waterways, views, points of interest, long-distance routes, eccentric events and the best of the best… our Top 50 Great British adventure locations. 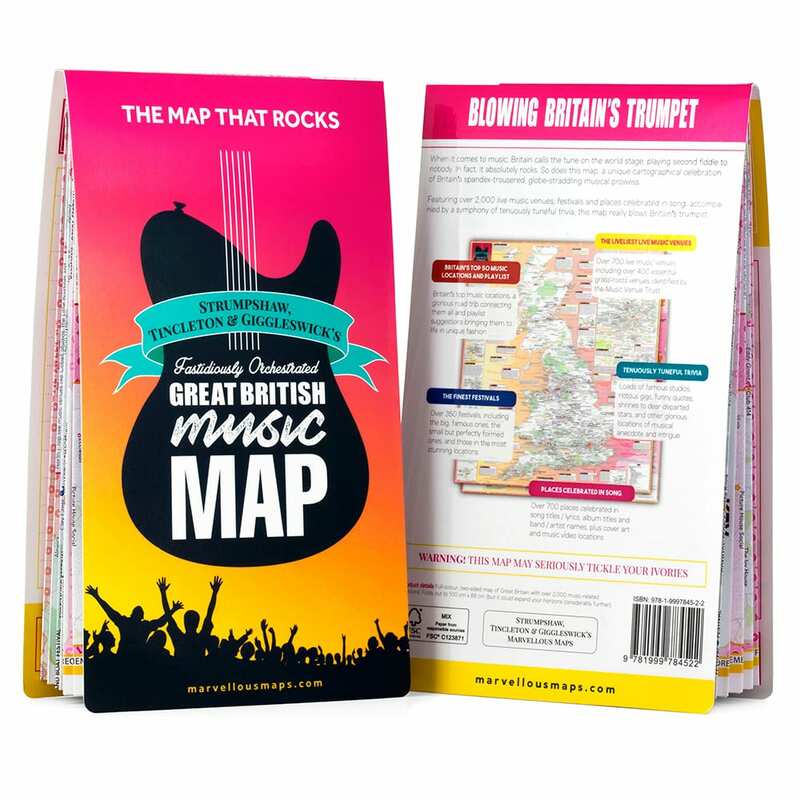 INSPIRING – Get entertained while you plan your dream adventure with heaps of fun stuff, inspiring trivia and even some vaguely useful information, such as the handy travel guide, activities guides and further reading sections on the back. 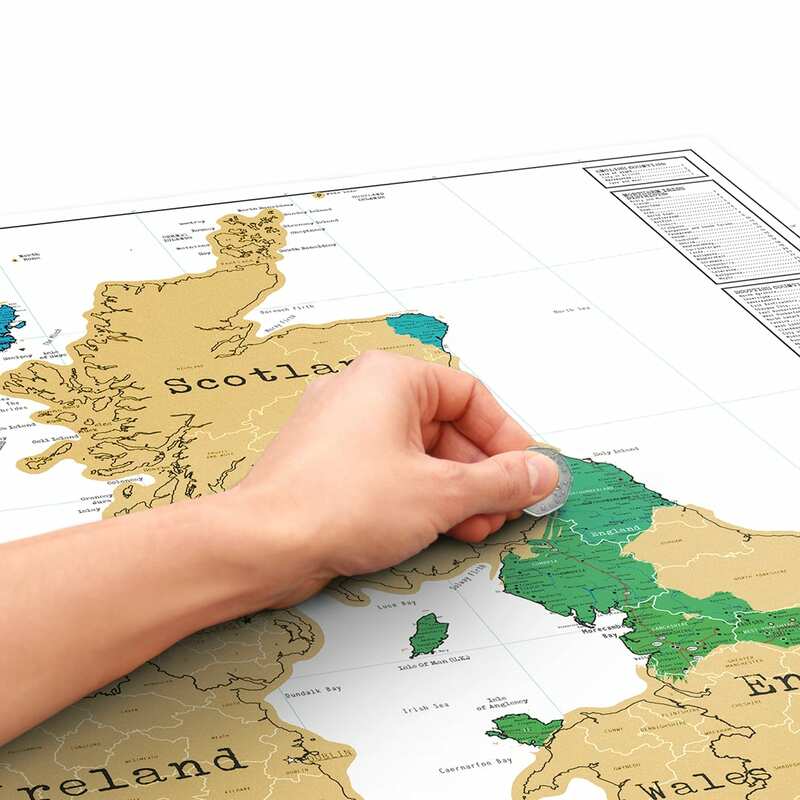 PERSONALISABLE – Tick off Britain’s Top 50 adventure locations, and add your own notes and adventure plans. 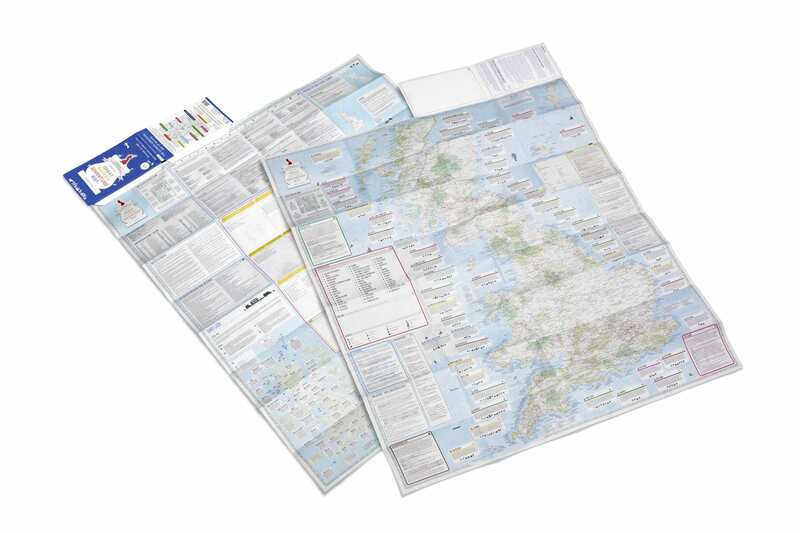 This super-light, double-sided map/reference guide folds out to 100 cm x 89 cm but could expand your horizons considerably further. Sent in a super-sturdy unmarked cardboard envelope.